Many of you will have noticed the growing trend for self-service at the supermarket checkouts when you pay for your weekly food shop. It’s something that started to appear many years ago on the petrol garage forecourt. Do you remember the days when you drove your car onto the garage forecourt where you were met by a pump attendant? They would ask you what type fuel you wanted and then after filling up your tank they would give your windscreen a quick wipe and maybe offer to check your water and oil levels. 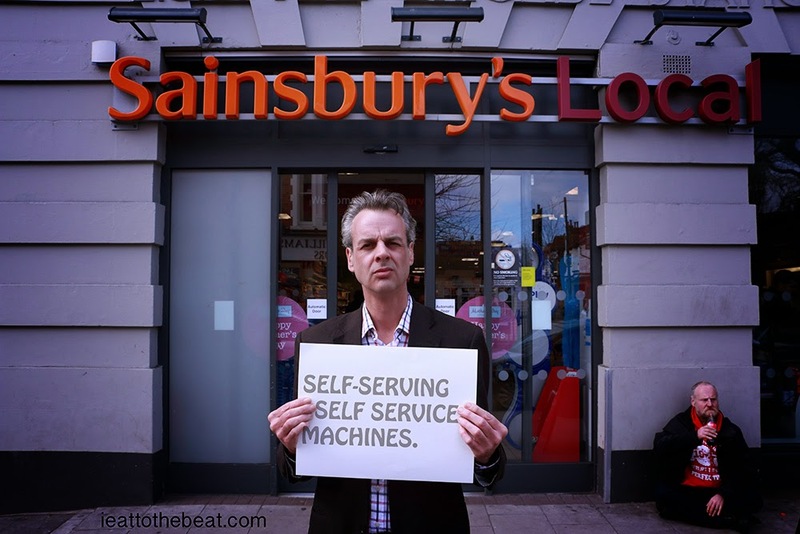 Well those days of customer service have long since gone, we now take self-service for granted and in todays busy times self-serve is often the preferred way for paying for goods and services. I wonder though if this practice is good for us in the long term. There are times when you don’t want to engage too much with the person who is checking taking your payment. There are also days when it frustrates me that I have to engage with a machine that repeatedly yells ‘Unexpected item in the bagging area’. Six months ago in my local supermarket you would see three sales assistants behind the checkout but that has now reduced to only one member of staff and another one encouraging you to use the self-checkout. To the worker and the jobs market this is disastrous, replacing workers with machines is not the way forward. This country needs jobs for shop workers, if they are replaced with machines it is the working class people who will ultimately suffer from a lack of jobs. It will leave a large group of people with no money, claiming benefits and no purpose in life. We have seen this already in the manufacturing industry where huge swathes of the once bustling West Midlands industrial heartland is now reduced to barren wasteland and Disney style shopping centres. If Supermarkets are to be allowed to continue with the dominance they enjoy in the market place, they should at least be expected to provide jobs in the community. They should not be allowed to make such huge profits without contributing something back to society, a contribution to the welfare of the people they are profiting from. They should be obligated to provide well-paid manual jobs. They should also give something back to their customers in return for all the information they gather from us when we shop with our loyalty cards. How about they offer Free Dental care to all shoppers who carry their loyalty cards. If the population had better teeth then surely they can chew more beef. 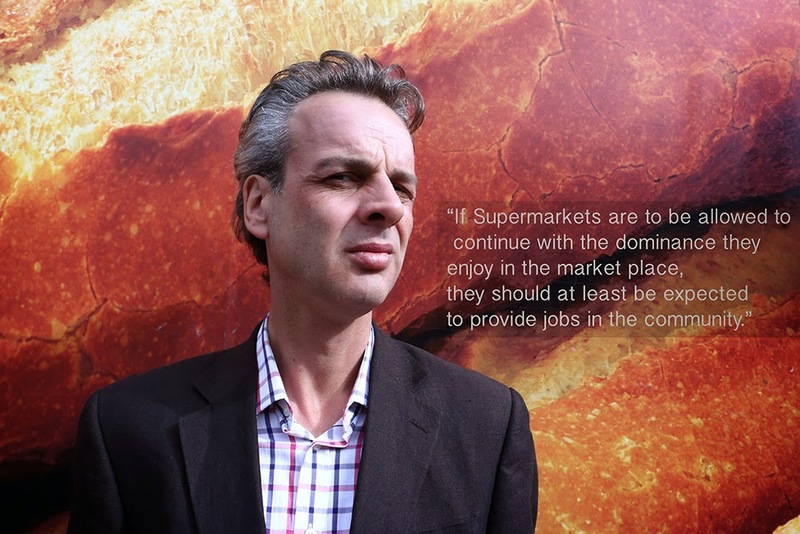 It’s a win-win situation for both Supermarkets and the Consumers. 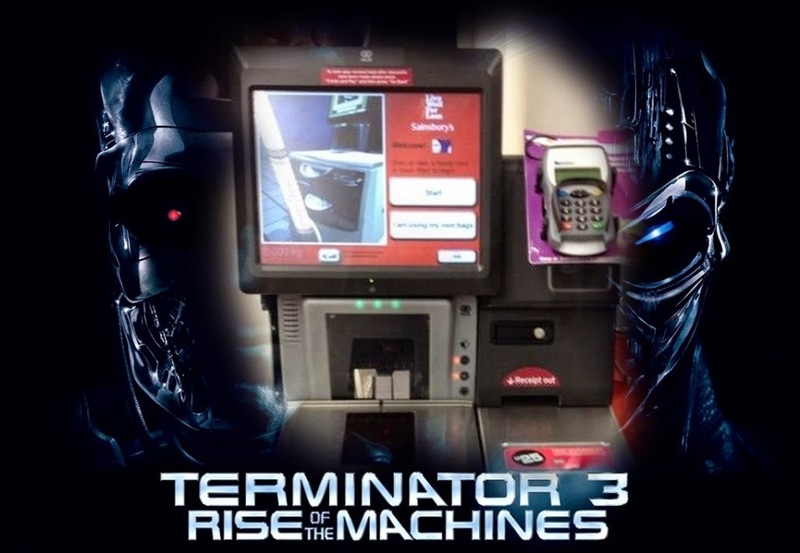 I personally don’t use self-service machines. I will always wait for the sales assistant to become available. I suggest you do the same. Ignore the Self Checkout and Engage with a real person and help support Britain’s working classes.